GUYS GUYS GUYS GUYS GUYS! 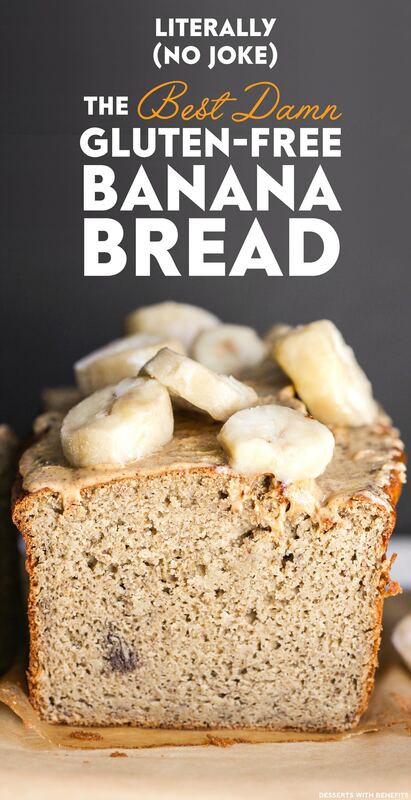 I’m beyond excited right now and I’m typing at about 7x my standard speed because I am bringing this amazing Healthy Banana Bread recipe to y’all. This is without a doubt the BEST Banana Bread I have ever made, and eaten, in.my.life. This is real people, not a joke, nor an exaggeration. This creation right here? You’re DAMN RIGHT I’M PROUD OF IT. It tastes like it’s full of sugar and butter. And it certainly does not feel or taste gluten-free. It doesn’t fall apart like sand, and thankfully, it doesn’t taste like sand either. It’s so full of banana flavor too. I CAN’T EVEN. This Gluten-Free Banana Bread is soft and springy and moist and sweet and addictive and packed with banana flavor. I could die a happy girl right now. But only if you bury me with a freshly baked loaf of this Banana Bread. Preheat the oven to 350 degrees Fahrenheit. Spray a 9x5” loaf pan with cooking spray and line one way with parchment paper for easy removal later. In a medium-sized bowl, whisk together the sorghum flour, oat flour, erythritol, baking powder, cinnamon and salt. In an electric stand mixer bowl fitted with a whisk attachment, add the almond milk, mashed bananas, almond butter, eggs, vanilla extract and stevia extract. Mix on low speed. 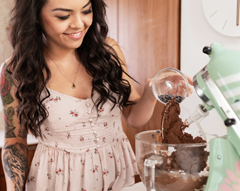 Add the dry ingredients to the stand mixer and increase the mixer speed to medium. Mix until the ingredients are fully incorporated. Scrape down the sides of the bowl if necessary. Pour the batter into the prepared loaf pan. Bake for ~70 minutes, or until the surface forms a light crust and springs back when tapped. Let cool in the pan for 1 hour, then transfer the loaf to a wire cooling rack to cool completely. Slice and serve, or store in a tightly sealed container in the fridge for up to 4 days. 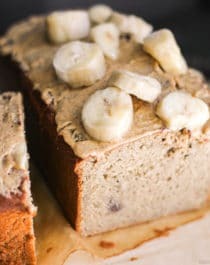 Does this Banana Bread make for the bestest, healthiest breakfast EVER?! Why yes, yes it does. With 10.5g of protein, 5.5g of fiber, healthy fats, and zero added sugar, this is most definitely breakfast-approved. It’s also sweet and delicious enough to be served for dessert. I’d recommend topping it with a drizzle of Chocolate Syrup or a generous scoop of Vanilla Protein Ice Cream! I’m most excited about the Bestie Cashew Butter. I haven’t posted a recipe using whey in a really long time… this recipe is whey-free too, so enjoy the Banana Bread! 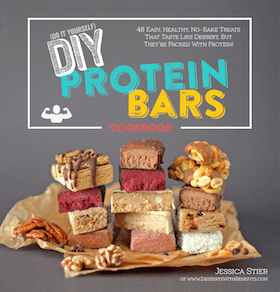 Carla – I’m sure Jess would agree (hopefully) that you can substitute pant based protein powder for whey with no problems in recipes. I do it all the time. In fact, I think the plant based ones give a better texture to baked goods than whey anyway. What do you think Jess? Regardless – this banana bread looks fantastic! I’m vegan so will swap out the eggs for flax eggs and pump the protein back in with some plant based protein and get back to you with my verdict. I’ve never actually had any success substituting plant based protein for whey protein in recipes (or vice versa), but I’m glad it’s worked out for you!! whey is very healthy; it is high in glutathione, which is the most powerful antioxidant. Banana bread is like my breakfast spiritual animal. If that makes sense….A piece of banana bread with some Kerrygold butter on top? Can’t beat it! I’d love to try the Bestie cashew butter. I had to comment on this because it made me laugh – my breakfast spiritual animal. That’s awesome. HAHAHAHAHA you are hilarious Kaylin! ? Dying to try the Bestie Almond & Cashew Butter! I saw someone else post about the Bestie Almond & Cashew Butter a few weeks ago and I’ve been fighting the urge to order it online this whole time. I wish a local grocery store carried it close to me, but in the mean time I will enter this giveaway and hope for the best! I’m always up for a new banana bread recipe and I’ve not heard of Bestie brand–thank you! yum. banana bread AND nut butter! alsounds like a tasty treat! Definitely the almond + cashew mix! I’m excited to try the Cashew Butter. I would love to try the straight-up almond butter 🙂 Thanks for doing this giveaway! I’d most like to try the Almond and Cashew Butter! I’d love to try the Bestie Cashew Butter. I’ll be making this for my parents this weekend! I would most like to try the Bestie Cashew Butter. I’m excited to try the Cashew Butter because it’s new to me. I’d love to try the Bestie Almond and Cashew Butter. I’d love to try the cashew butter! The cashew butter sounds great. I am most excited about the Bestie Almond & Cashew Butter. Well yes! Combining 2 of the best! Almond AND cashew! This recipe sounds amazing! Can’t wait to try! 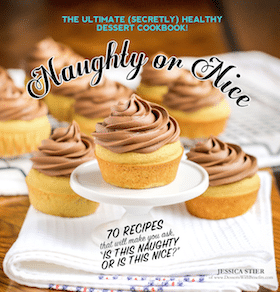 I’m also super excited about the new cook book!! The Cashew Butter sounds amazing! I see it used in a lot of recipes and have been dying to try it. I’m most excited about the cashew butter, I’d like to smear it on a sweet potato! I would love to try the Cashew Butter. I would love to try Bestie Almond & Cashew Butter. The Almond and Cashew Butter blend! I love both but haven’t had them together! I am wondering if I could substitute something in place of the stevia extract? The stevia can’t be replaced here, sorry!